Oskay, from Evil Mad Scientist Laboratories made this thing: a snow flake generator. Remember: do not eat the yellow snow. I absolutely love it! 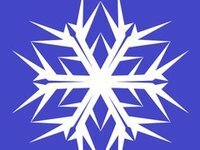 I’ll tell you why… Not as much that we can now make snowflakes, but the fact that these application/generators are emerging! This is what customization is so powerful for, you have a ‘meta-model’ of a type of object that is unsuitable for ‘one size fits all’ mass-production. Keeping a variety on stock is expensive, and how many permutations do you get if you allow 2 choices for 8 aspects of an object? 2*2*2*2*2*2*2*2 = 2^8 = 256. These costs go up if you want to give more than just two choices. You need massive production runs and not to mention sales to earn back the costs of moulds or dies. Moreover, keeping a large variety in stock is expensive and you deal with inherently uncertain demand. What will you stock and how much? All permutations? Or will you base your up-front investment on sales forecasts that tend to be biased by either subjectivity or an over-dependence on historic data? I tagged this post with ‘energy/sustainability’ as well. Why? Because currently, there’s massive over-production and dumping of products for which the sales were over-estimated. All the energy and material resources that are used are costs, for the manufacturer, but also for society as in so called “externalities”. What I also like is the choice for processing.org. I like processing since it could also directly control a RepRap 3D printer and/or laser cutter (with the serial library) and/or it could run as a design tool embedded in web pages. Actually, I’ve been meaning to create a generator myself, in order to create STL files based on simple parameters and a click & drag system. There’s this library that I tried to implement, but I guess I dove in too deep into processing.org (for a first dive, that is). If anyone needs to have a server to experiment (for a combination of server an client side computing) on, we’d happily offer this capacity free of charge. My only demand is that the developed application is offered free of charge and under an (OSI approved) open source license. The server could be any Linux distribution you’re familiar with. Another platform is possible but needs justification (especially windows, since it doesn’t scale well/cheaply). I’d even try to find the time to help out with interfacing. It needs not be processing.org at the client-side: an AJAX based parametric modeler with a thicker server-side layer would also be great. Oskay, thanks for taking this pioneering step and sharing it! Next story A thousand RepRappers!